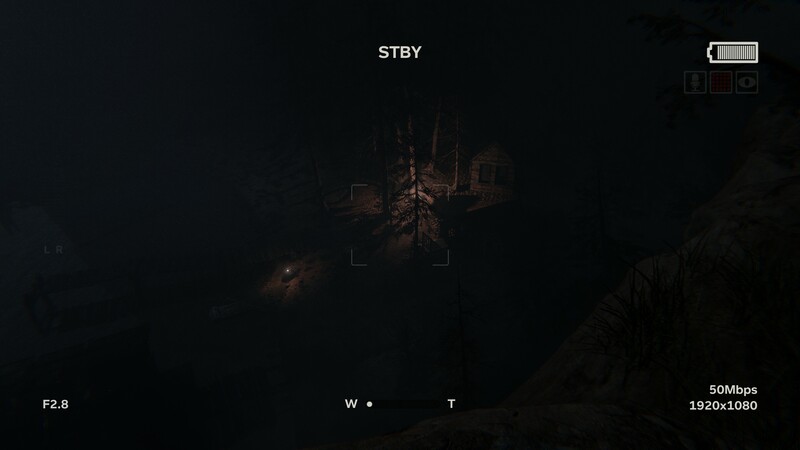 Outlast 2 is a truly unsettling game. No matter what you are doing at any one moment, there is sure to be something unpleasant about the situation, even when it’s more game design than content. The follow-up to Red Barrels’ 2013 take on the horror genre demonstrates what you want out of a sequel by taking everything up a notch. Along your path you will be jarred, challenged, see things you wish you hadn’t, and even feel helpless. It also improves upon the flaws of the original and provides countless visuals that I fear may have made me more desensitized to brutal violence than ever before. 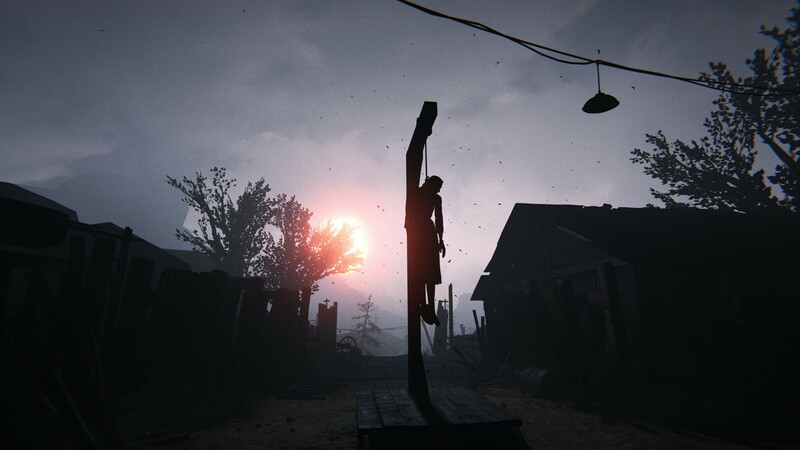 If you want controversial topics, this game has it in stride from the inhuman, to unthinkable tortures, and even a strong anti-religious undertone. Then again, making you flinch is the entire point, isn’t it? 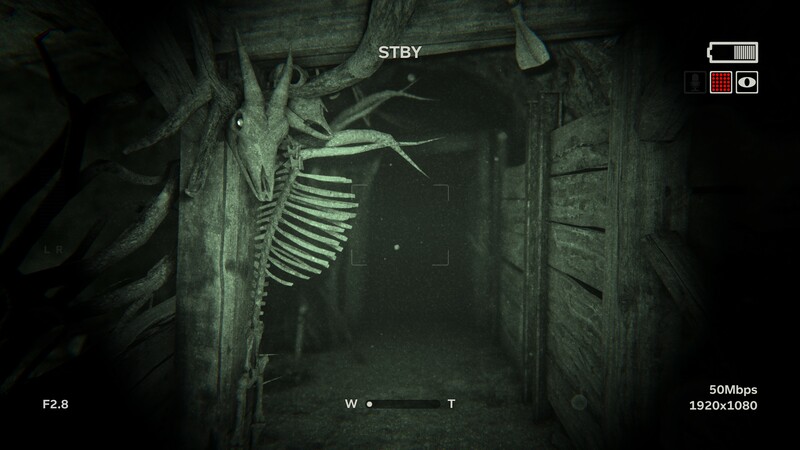 If Outlast was a haunted house, Outlast 2 is the spook walk. The setting changes drastically, moving away from the confines of a lowly asylum and into Arizona’s Sonoran desert, where a married couple are investigating the mysterious murder of a young pregnant woman. Things quickly escalate when their helicopter crashes and the wife, Lynn, goes missing and you take control of husband Jacob in search of her. 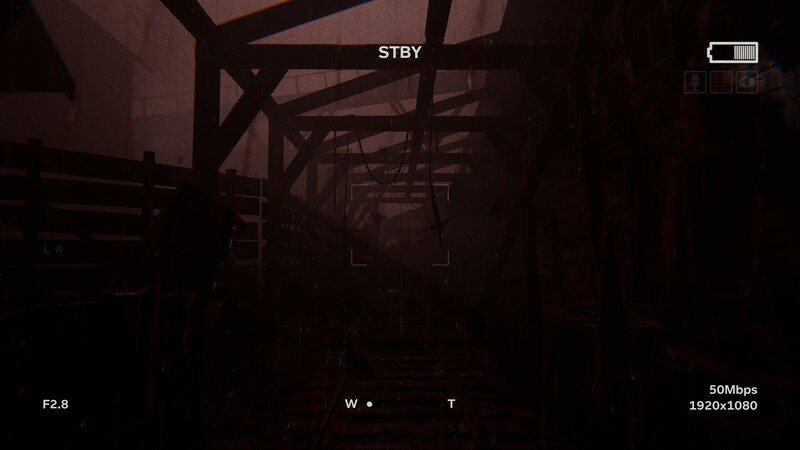 Where the original Outlast tended to use confined spaces to build tension, Outlast 2 thrives in large, open environments where you could find anything among the foliage from intense danger to nothing at all. It truly becomes more of a stealth title than anything else and dare I say reminded me more of the first half of Call of Cthulhu Dark Corners of the Earth than anything else. Rarely do you see the same scare or scenario play out, which is a welcome change from the redundancies I experienced in the original and kept me far more in focus. The storyline baits you to keep moving forward more than anything else and your handy camera is no longer simply night vision but also a journal that documents the plot points along the way, which can be reviewed at any time. Unless you’re completely careless you won’t find yourself having to redo an entire section or reload a previous save because resources are much better balanced and those pesky fetch quests that plagued the first game are almost nonexistent. Your options on how to handle getting spotted have become more dynamic. It’s now possible to hide in high grass, dash through cabin windows, hold your breath underwater, and even crawl under foundations of houses to avoid being found. This all seems to be an attempt to reduce “hide and wait” scenarios and rather be constantly on the move to get away from danger. The back half of the game starts to put both your inventiveness and your reflexes to the test as you not only have to navigate these complex environments strategically but adapt at a moment’s notice. When Outlast 2 really ramps up the intensity is when it’s at its most effective and I couldn’t get enough of those late frantic moments. The game engine has been given a face lift that takes the decent graphics from the first game and steps it up. This time around the environment provides visual tricks such as wavering fires, electric street lights, and plenty of weather effects. A longer draw distance accompanies the open environment and almost everything you see in establishing shots will end up being an area you traverse at a later time. Sound design completes the experience, assisting in the game’s ability to fake you out or deliver a well-timed scare. Most of the time sounds in the background are the crickets chirping or your own footsteps in the grass, but when you discover its the big bad breathing down your neck is particularly effective. There’s a new microphone mechanic built into the camera and will even have you navigating with sound instead of sight, which is when surround sound on a speaker system or pair of headphones is most appreciated. Outlast 2 was unable to escape minor quips and pacing issues, some of which return from the original. There’s a secondary plotline that starts off subtle and expands drastically, getting repetitive and oddly over-specific by the time it concludes. It seemed like although Red Barrels felt confident enough to move things outdoors, they still needed a compact space to fall back on. This would be understandable except that cramped interior spaces are constantly present in most areas, so when you break it down the sequences of the sub-plot seem more unnecessary the longer they get. Story points also fall short and everything gets a bit convoluted so the plot doesn’t succeed at wrapping things up as elegantly as you’d hope. I also have to mention a specific series of sequences near the middle of the game that had me a frustrated mess as I died countless times trying to figure out what to do. This is nothing new, I suffered the same fate in the original, but its inclusion this time around and relatively small dose has me wondering if it’s all calculated. Still, whether intentional or not, I definitely found myself thinking, “I don’t want to do this over again,” and I can see where it starts to move from a solid horror title to a frustrating one when these moments occur. As someone who anticipated the follow-up I can say that while it’s not exactly what I expected, it was an entertaining experience that delivered on its promises. I was often not comfortable with the situation, which is exactly what I feel both the developers and fans are seeking. 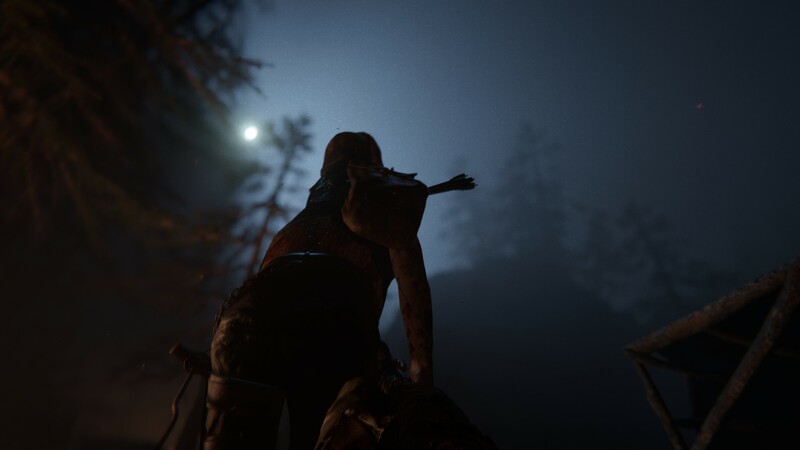 There’s still work to be done on creating a cohesive story, pacing suffers at times along the way, and I could describe certain situations as having no better description than “cheap.” For a game that was nearly twice the length of the original – I completed Outlast in five hours, Outlast 2 in nine – and given the much more brisk pacing it’s a lot more content this time around. The sequel may not consistently deliver the tension of the original, but it’s a hell of a ride that left a lasting impression. A review code was provided by the publisher and the reviewer chose to play the PC version. Outlast 2 will be available on Tuesday, April 25 on Xbox One, Playstation 4, and PC for $29.99. Additionally Outlast Trinity, a retail disc collection of the original game with the Whistleblower DLC and Outlast 2, will also be available on April 25 for the Xbox One and Playstation 4 for $39.99.